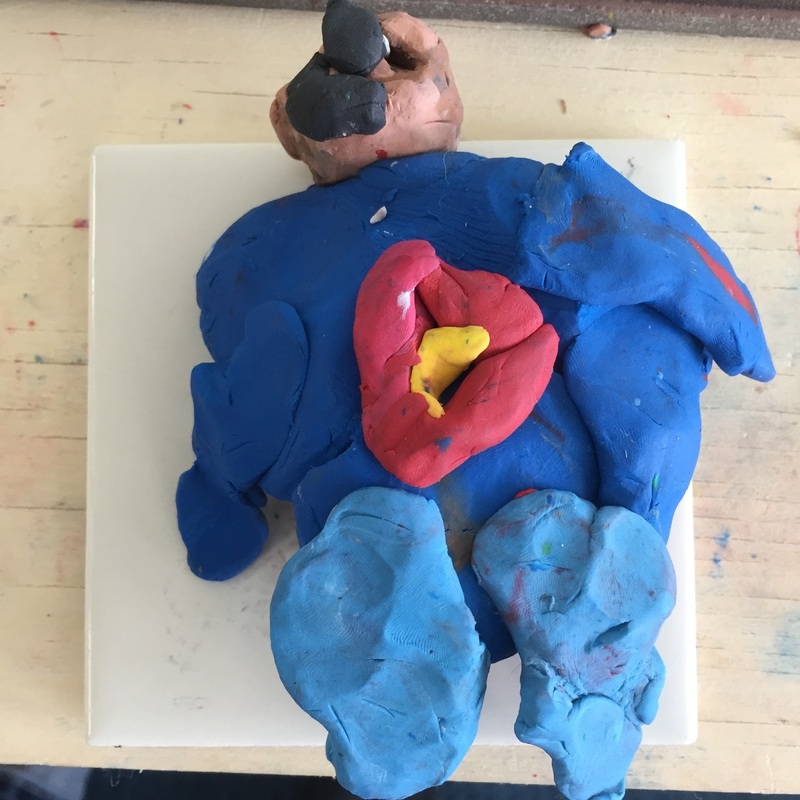 In this blog you will see a journey being taken by students and teacher to build up our minds, muscles and imaginations together through inquiry, exploration, investigation, problem solving and teamwork! I spend a lot of time watching and listening to the kids, trying to figure out what interests them. I love to teach the standards by using the kids interests. When I do this, they use the academics they need while they investigate things that they are interested in. It makes them excited to learn and they automatically use reading, writing and math skills with out any push from me when these skills are needed during the investigation. Sometimes, the interests are small groups, but sometimes, an interest is widespread and covers most of the kids in the class. This year this widespread interest was superheroes. 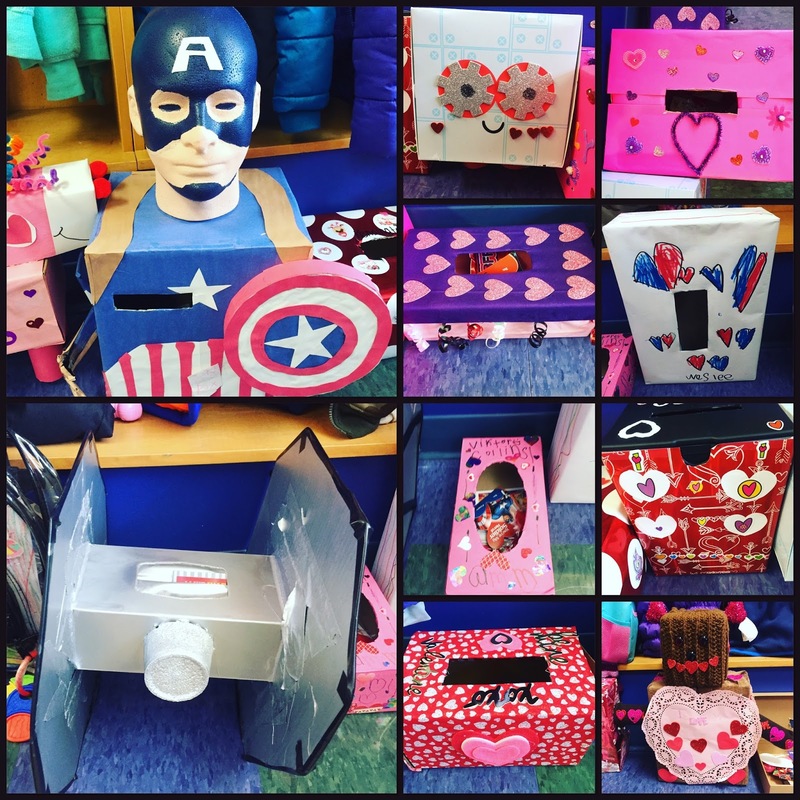 This major interest in superheroes was obvious ever since the beginning of the year! 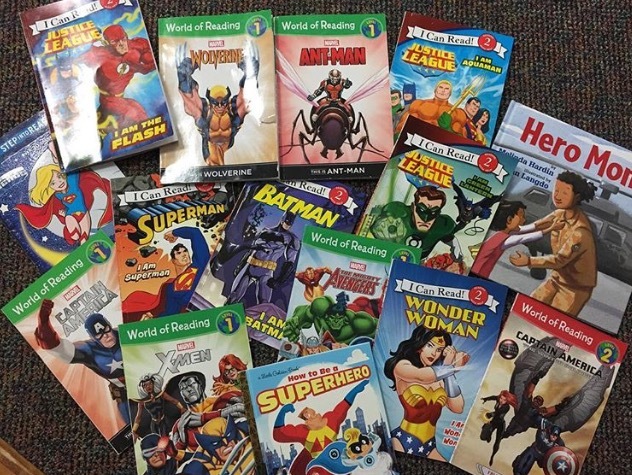 I knew that I was going to have to figure out a way to do a superhero inquiry, but what could I cover in our curriculum with superheroes? 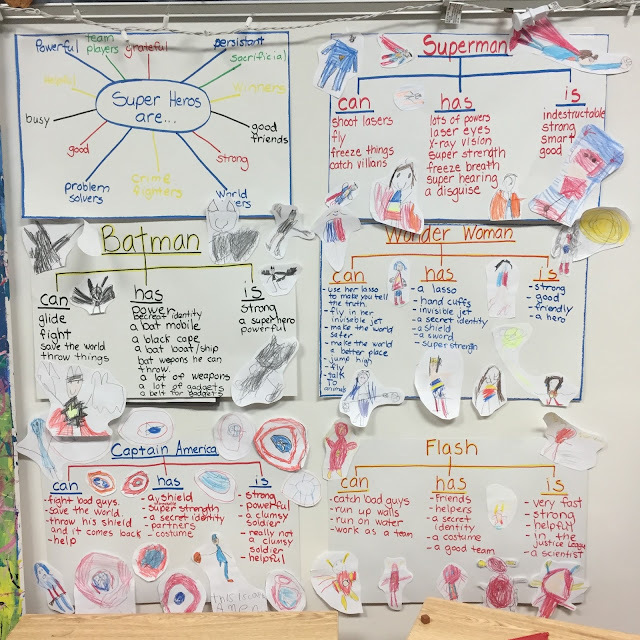 There was nothing about superheroes in our science or social studies standards. Once I started brainstorming and putting my ideas down on a web map, I was amazed at how much curriculum I could cover! Reading, writing, math, social studies social skills, and LOTS of science! For reading, I found easy readers about superheroes and they read them over and over and over! They never tire of these books and were used as inspiration in their writing also! For Art, I set up the art area with lots of superhero colors. They were very inspired! 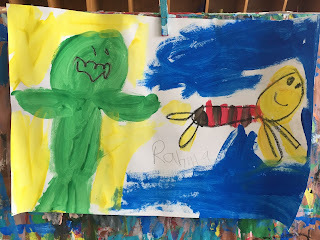 The kids loved going to the easel and painting their favorites! 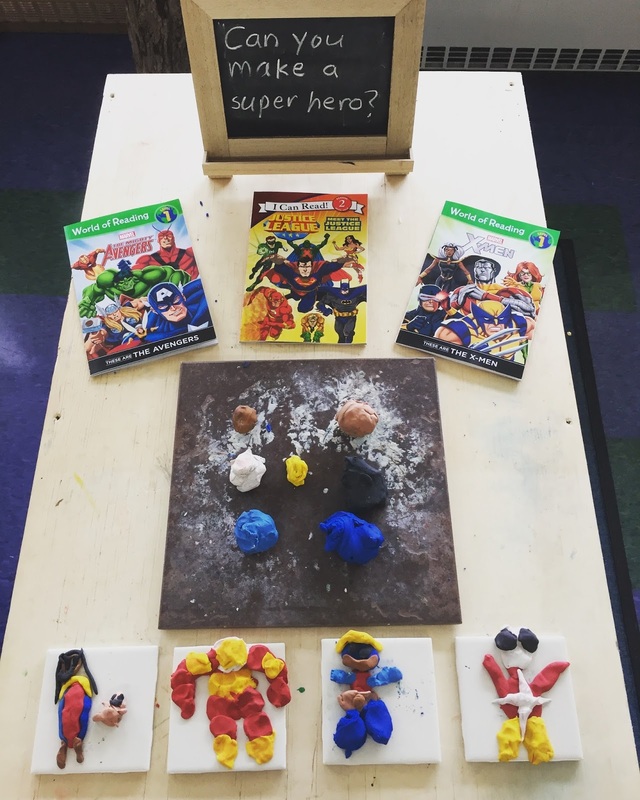 For Art and Fine Motor work, I set up an area where my sculptors could create superheroes using their passion and skill. This was a very popular area. The sculptures they made amazed me! 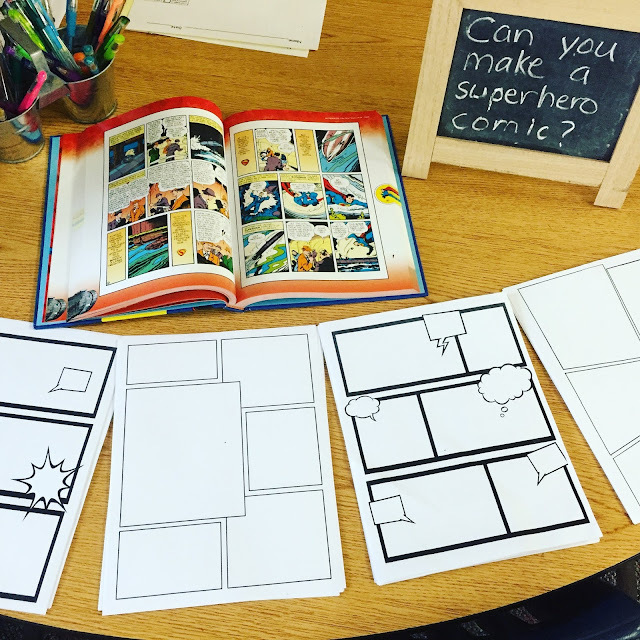 For Writing, I set up an area where they could create comics about their favorite superheroes. 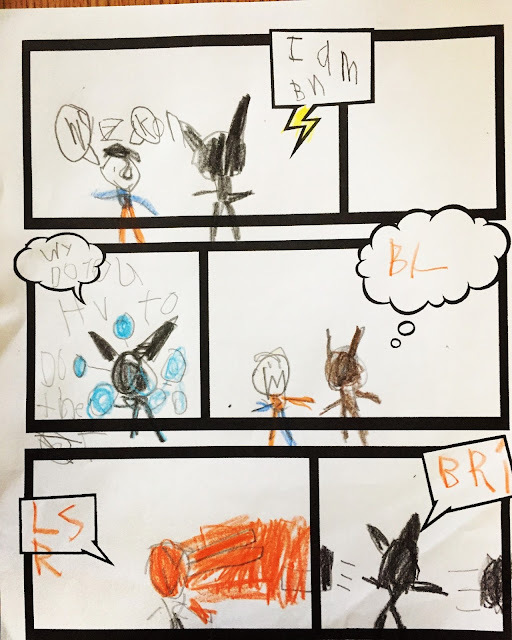 They LOVED to write about superheroes. Not only comics, but stories and and books! I never had to beg them to focus on their writing during this inquiry! They wrote with excitement and were so proud of their stories. They loved rereading their stories to friends. It was a great opportunity to focus on what they need to do to make their writing easy for them to reread such as adding spaces, sight words being spelled correctly, writing down every sound they hear in unfamiliar words, writing neatly and drawing a picture with details that helps you remember what you wrote. Superheroes were a big help for working on social skills. 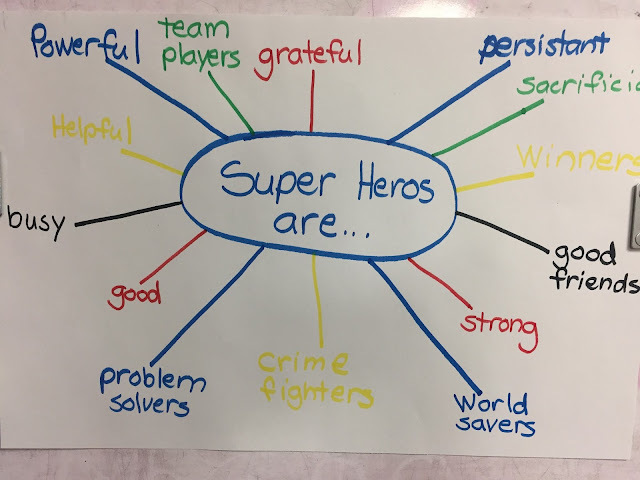 We talked about the qualities of superheroes and how we should all strive to have these same qualities and behaviors! 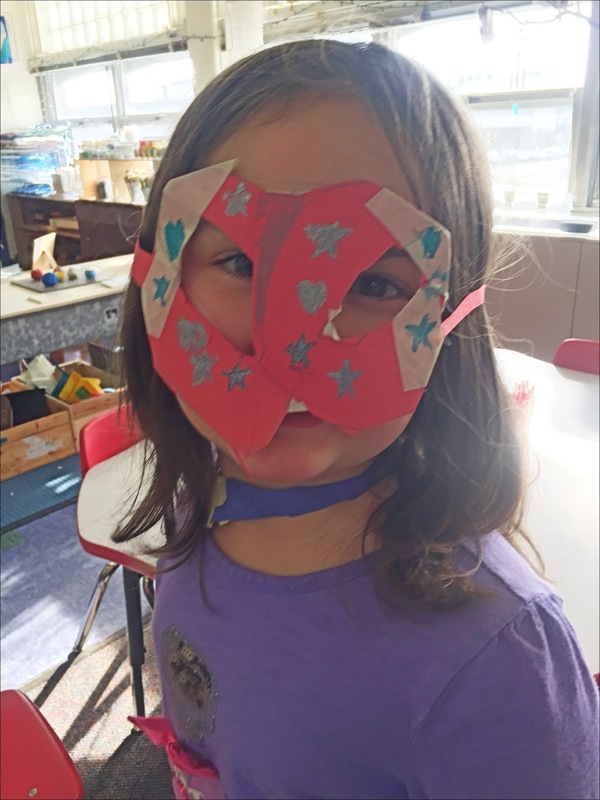 Of course with a focus on superheroes, there was a lot of superhero play. As they played, the play would get too rough, or the villains would say something mean. I see these situations as opportunities for them to grow in the areas of: 1) Getting along with others. 2) Learning what to do when someone makes us angry. 3) Problem solving 4) Learning from our mistakes. 5) Working together as a team. If children are not playing and put in these situations, how will they learn these skills? These problems have to happen so that they can see a need to find a solution and be able to work together. 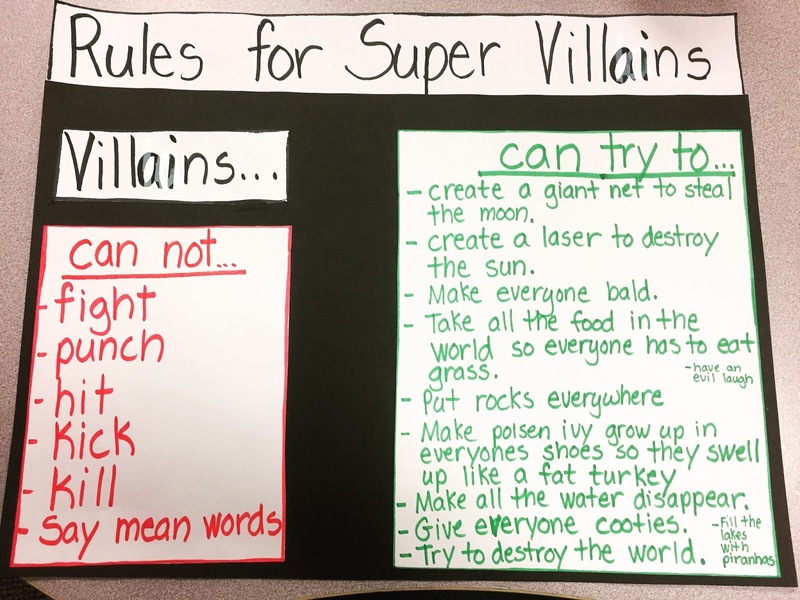 We sat down as a group, and the kids came up with these rules for super villains. 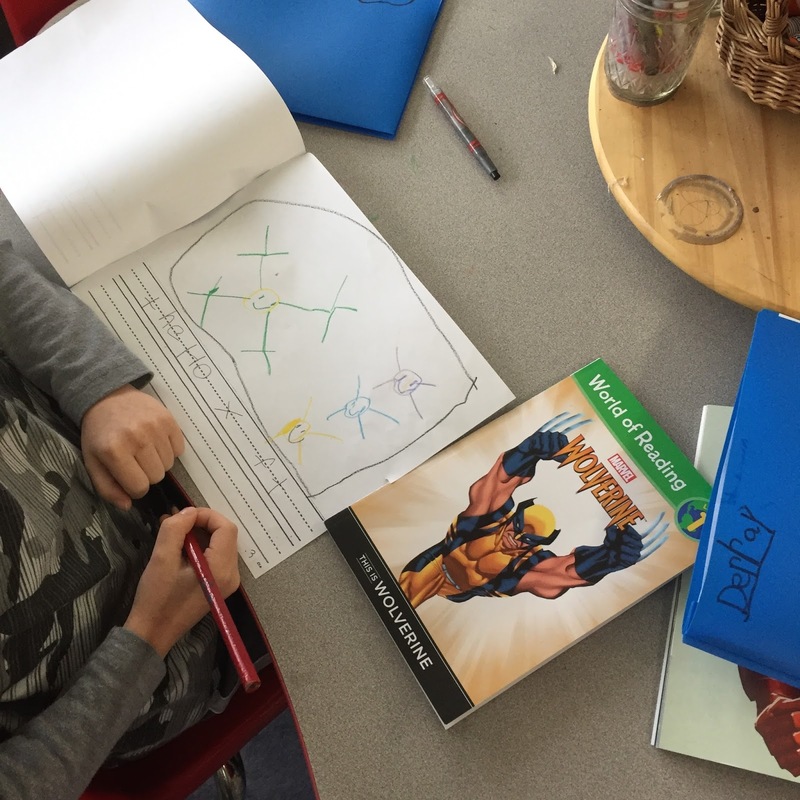 For reading comprehension, we read about a superhero and created a tree map to organize what we learned about them from the book. They loved to compare and contrast them. 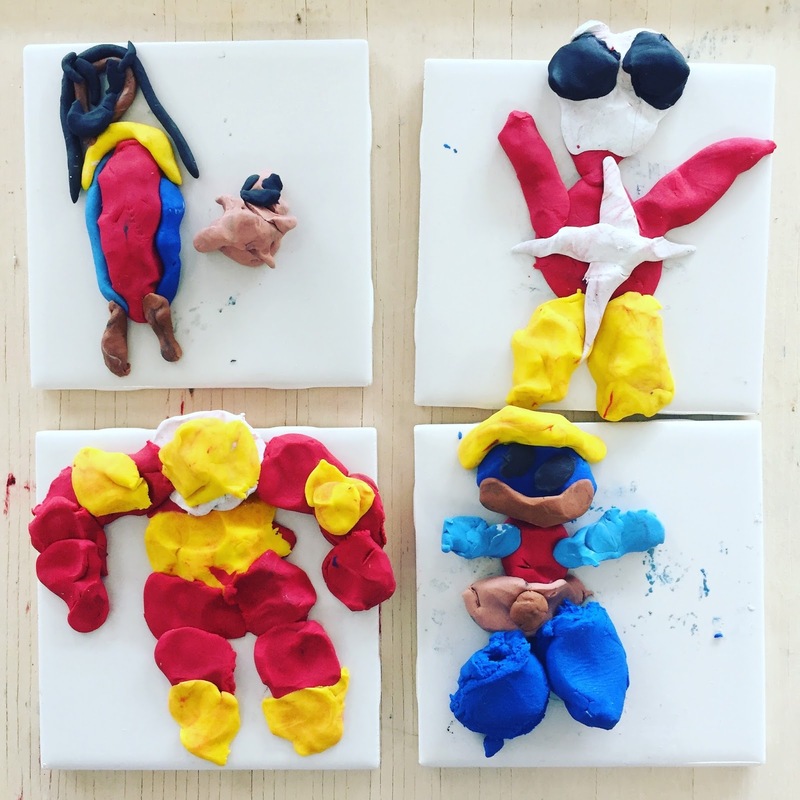 Most had secret identities, were kind and good, helpful, team players, strong, etc. They noticed some differences. Some needed gadgets, some had super powers, some could fly, others could not, etc. For Science, I set out opportunities for them to explore different super powers. Here, Aqua Man inspired us to explore the properties of water. 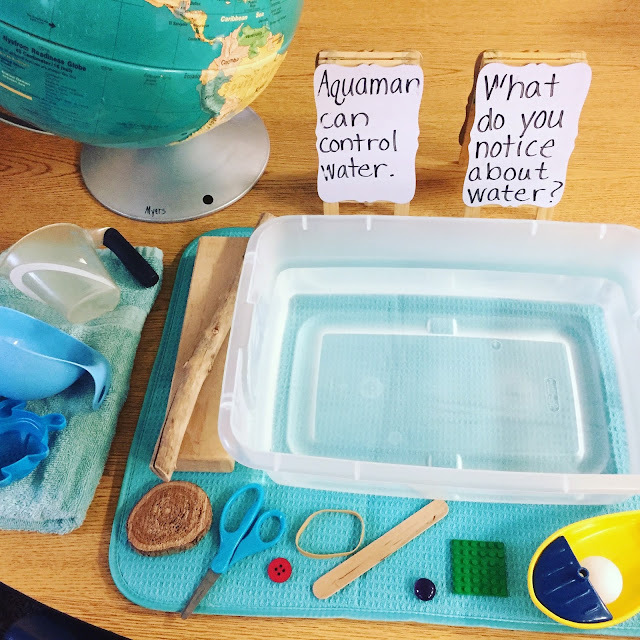 There was a lot of exploration in volume as they filled containers (math), and the concept of sink and float. They tried to figure out why some things sank and others didn't. 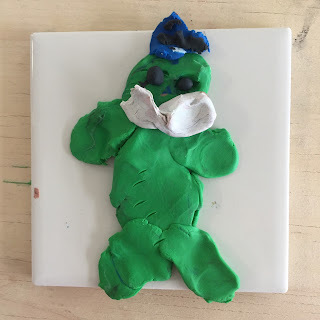 They also tried to sink things that would float and tried to make the things that sank, float! 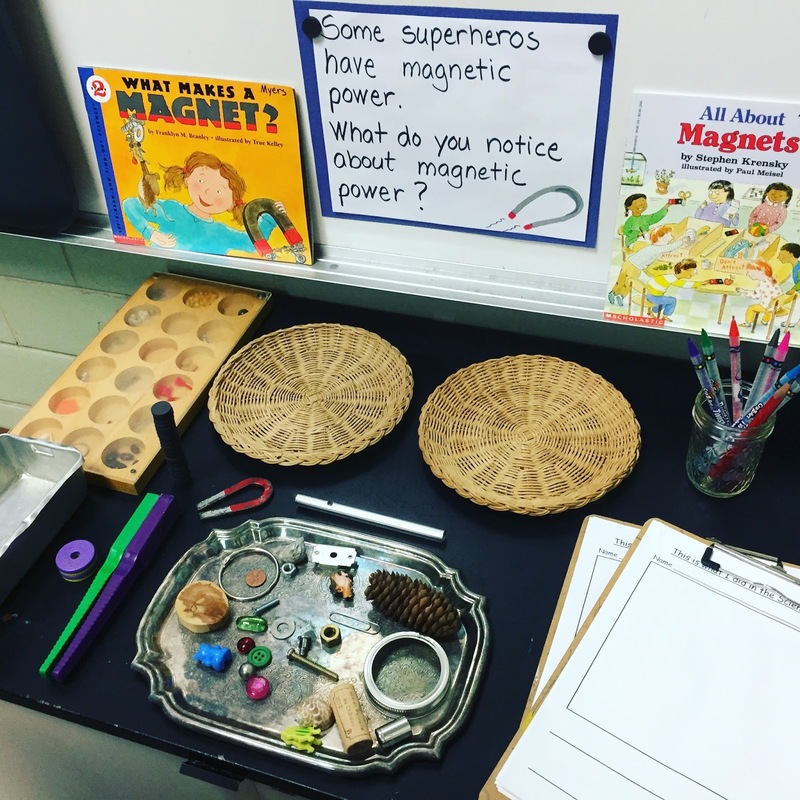 Magneto inspired us to explore the power of magnetism. They tried to figure out which things stuck to the magnets and why. 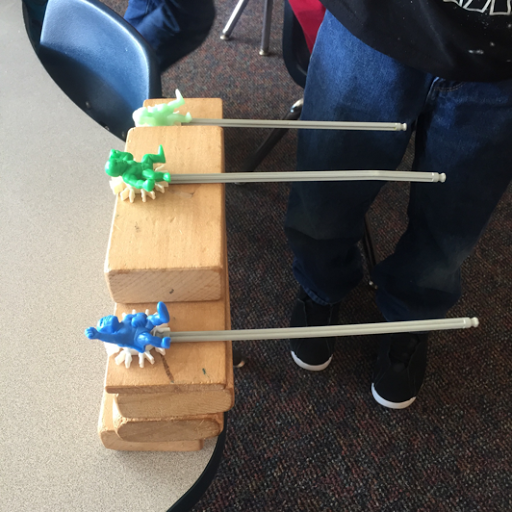 They were also interested in how sometimes the magnets would repel each other. 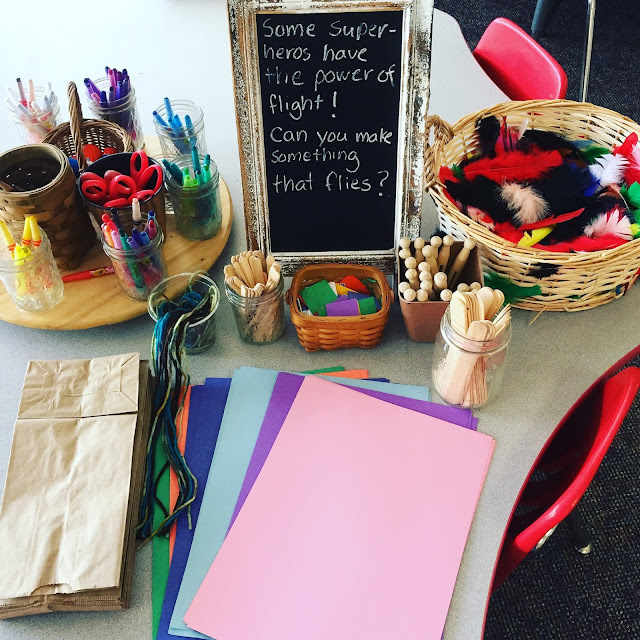 Superman and Supergirl inspired us to explore the power of flight. 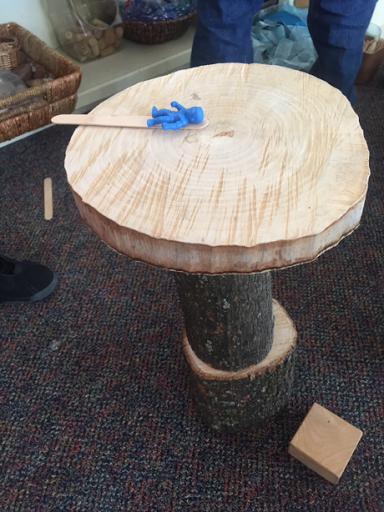 A lot of creative and critical thinking skills were used here! 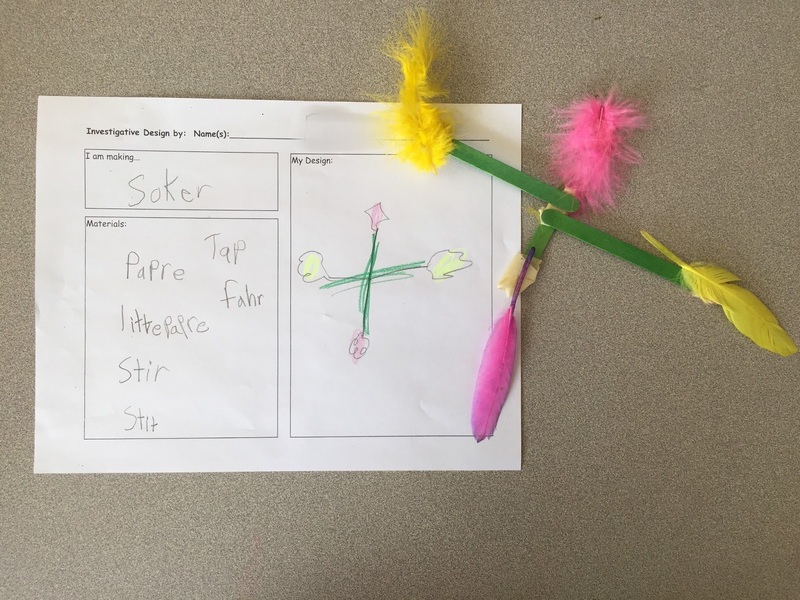 Our engineers created all kinds of objects such as planes and kites and tried to see how far they could glide on the air. They measured using the tiles on the floor how far they could go. Some friends made designs that spun while they glided! 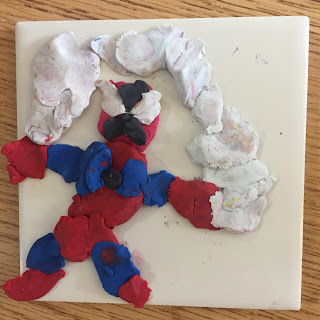 Spiderman inspired us to explore spider powers! A group here is very interested in spiders so I will let them explore further! 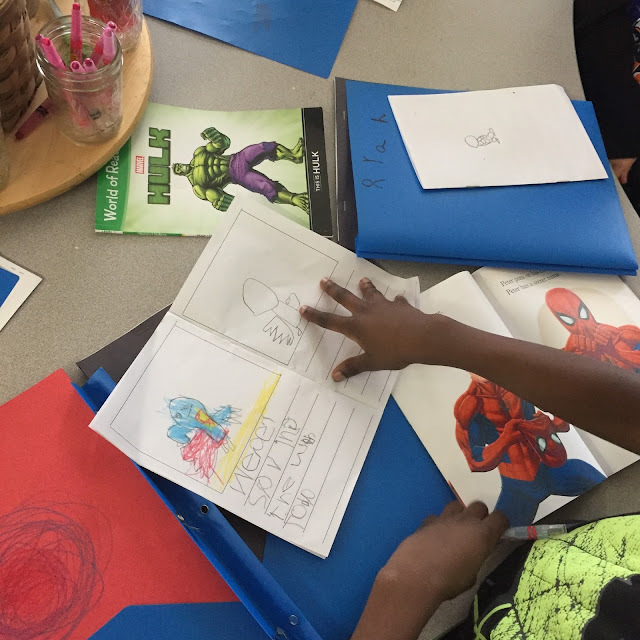 We strengthened fine motor skills by creating webs and books about spiders were provided for them to learn more. 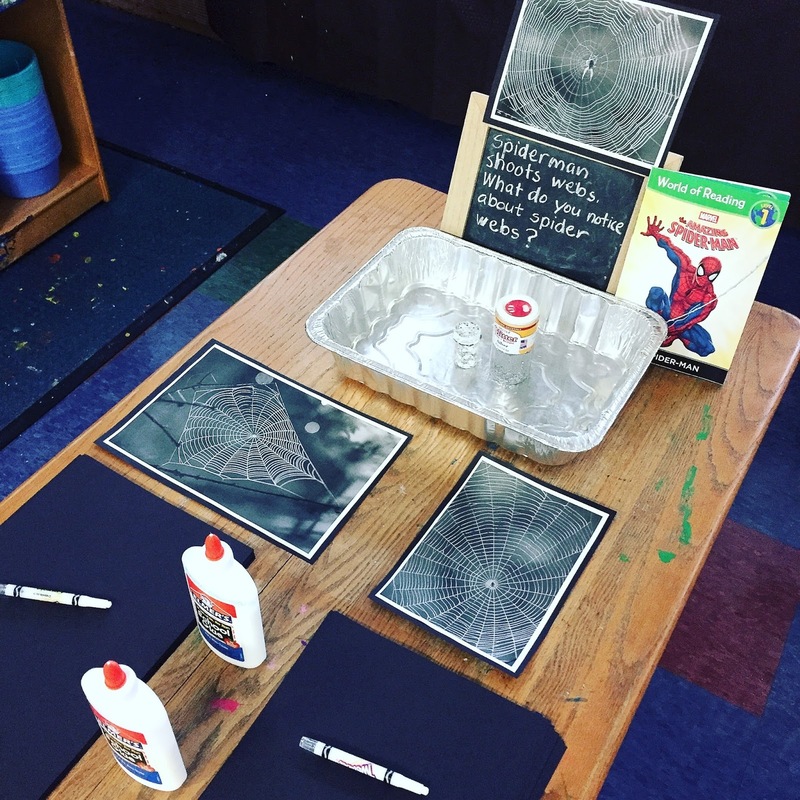 Here they studied the pictures of webs and used white crayons, glue and glitter to show what they noticed about spider webs. These turned out beautiful! I wish I thought to take a picture of one! Ironman inspired us to explore the power of propulsion. 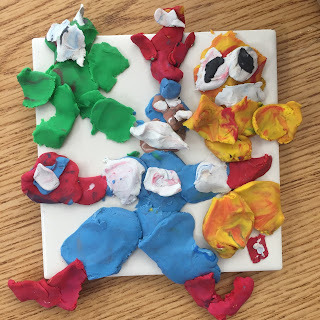 They had to use the materials to make the superheroes shoot up in the air without throwing anything or touching the superhero. 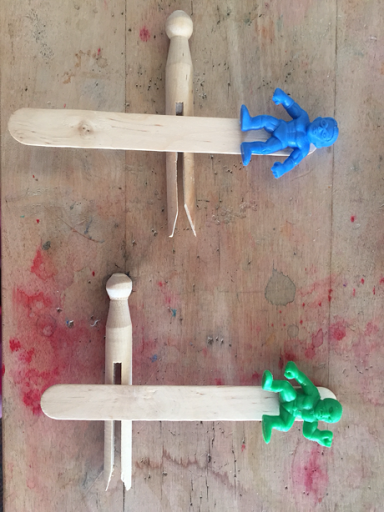 After some experimenting, most came up with a catapult design which is a simple machine (lever). 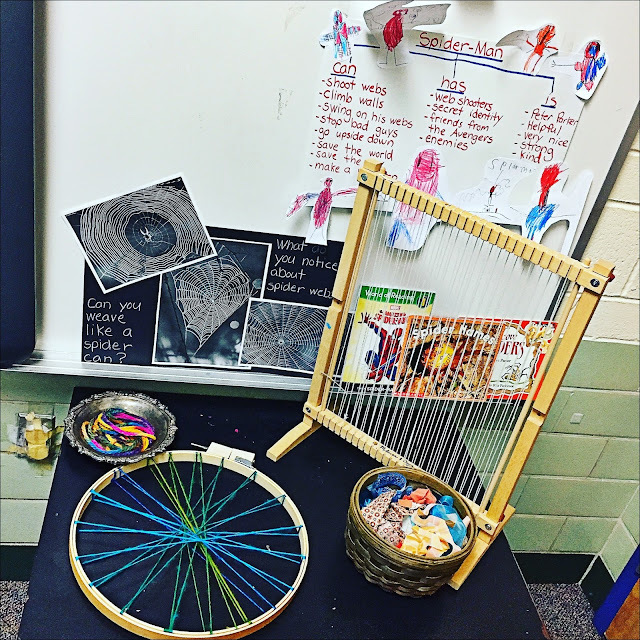 I decided to set up another similar propulsion challenge with only clothespins and craft sticks. 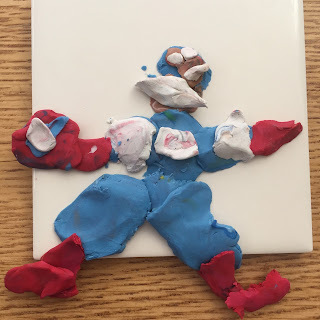 How can you get the superhero to fly the absolute highest it can? I want them to think about the importance of where to place the fulcrum of this simple lever machine in order to gain the most height! Where the fulcrum is placed makes a big difference! They are really into these lever designs! Now that we have explored and investigated superheroes, we are now working on our project, along with exploring a couple more super powers! We will also integrate social studies as we talk about real heroes in our world in the form of community helpers. They are also interested in animal super powers. I will blog about that next time! Meanwhile, here are some other things that have gone on in our room! 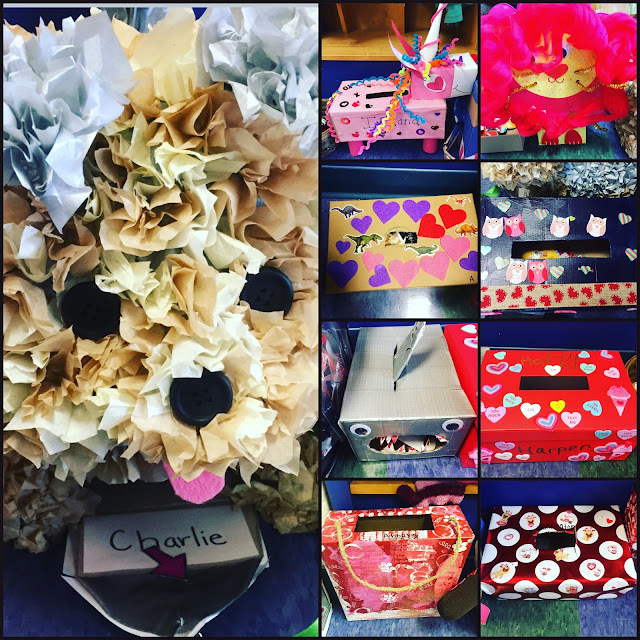 Valentine's Day: We have some very creative families that created Valentine's Boxes. The kids loved every single one of them! We lined them up and the kids put their valentines in each one. 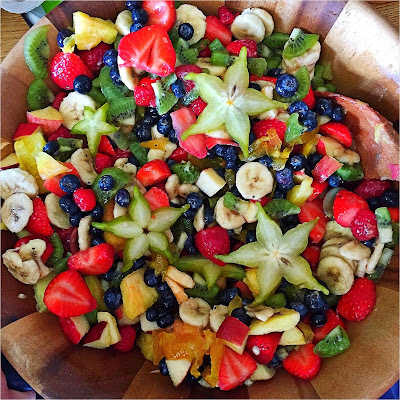 We made Friendship Fruit Salad to celebrate our friendship on Valentine's Day also. The kids each brought something to add to the salad and also helped mix it up. It was a big hit! They thought it was the best salad they had ever had! 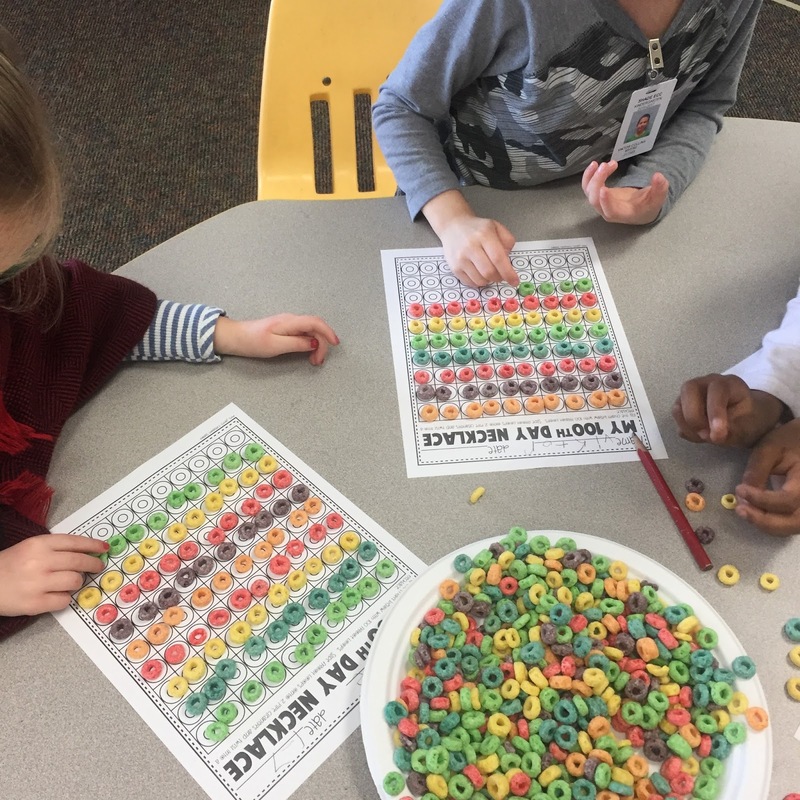 We also celebrated our 100th day of school! 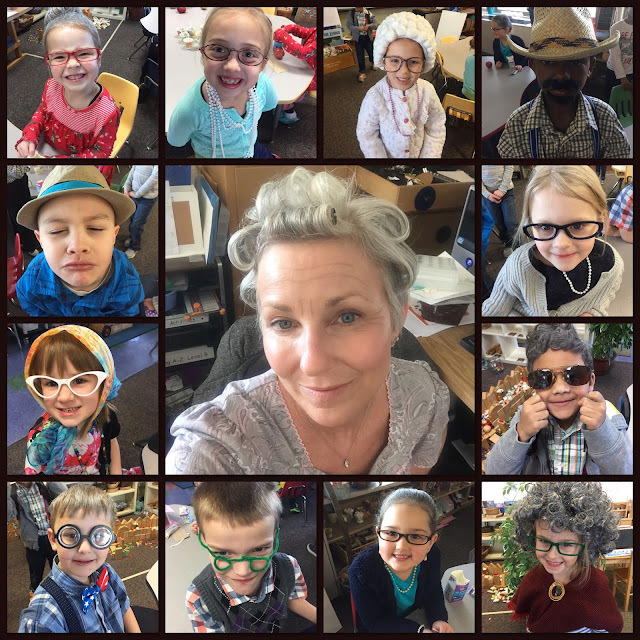 Some of the kids and I dressed up like we were 100 years old. I think I scared my husband and a few friends when I posted the picture of just me on social media! We counted out 100 Fruit Loops by putting them in groups of 10 and then strung them to make a necklace! This was hard work for those finger muscles! 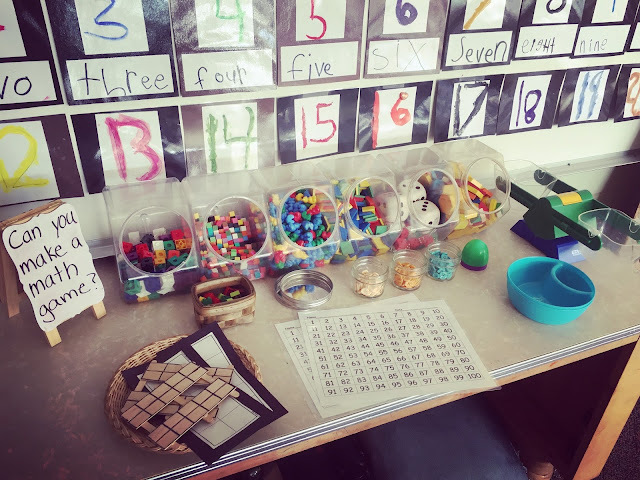 Here are a few of the math games that we are playing. 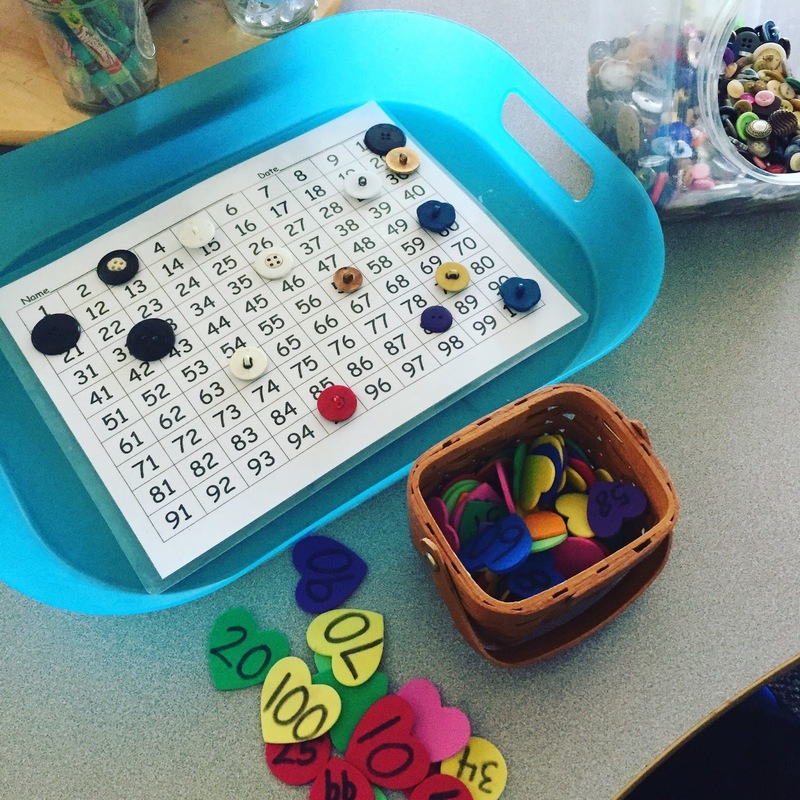 Here they pick a number from the basket, find it on the chart, identify it and cover it with a button. This helps with number i.d. to 100. Though they are only required to i.d. numbers to 20, many are ready to take it further. Here they use the materials to create a math game and show the class how to play the game and what math skills we are using. Here they are learning that teen numbers are a long group of ten and some short ones. Here they are picking to hands and adding the fingers together. 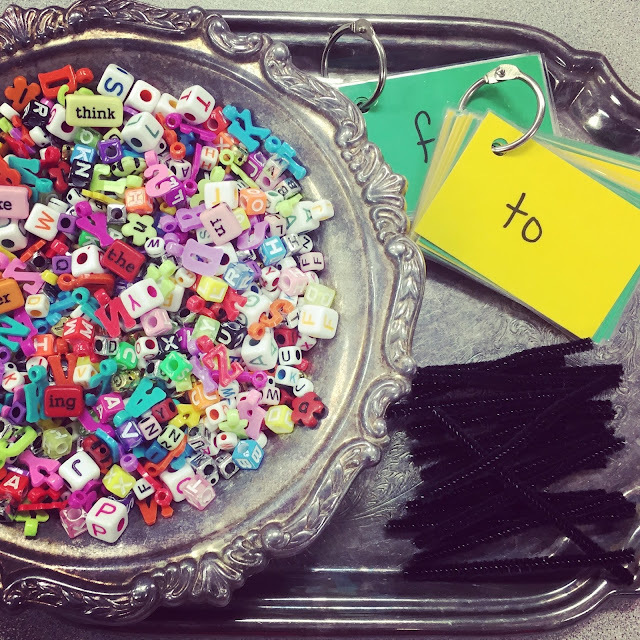 Here they are making sight words on the pipe cleaners, taking a picture of the words and putting them on the promethium board to see if their friends can read them. I have encouraged them to find the hardest ones! Just LOVE this!!!! So creative and inspiring for students!! and me! Where did you get the button hands? I have had them forever and I can't remember where I got them! I looked online and I cannot find them anywhere! If I do, I will let you know! I am trying to figure out how to order them, but I think I found them! 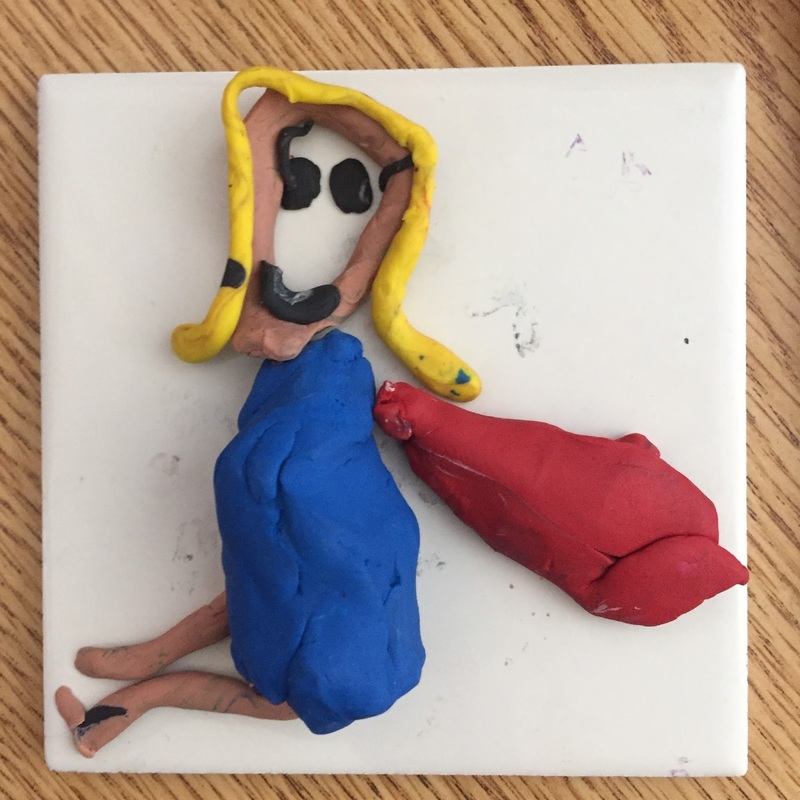 You are an amazing teacher! 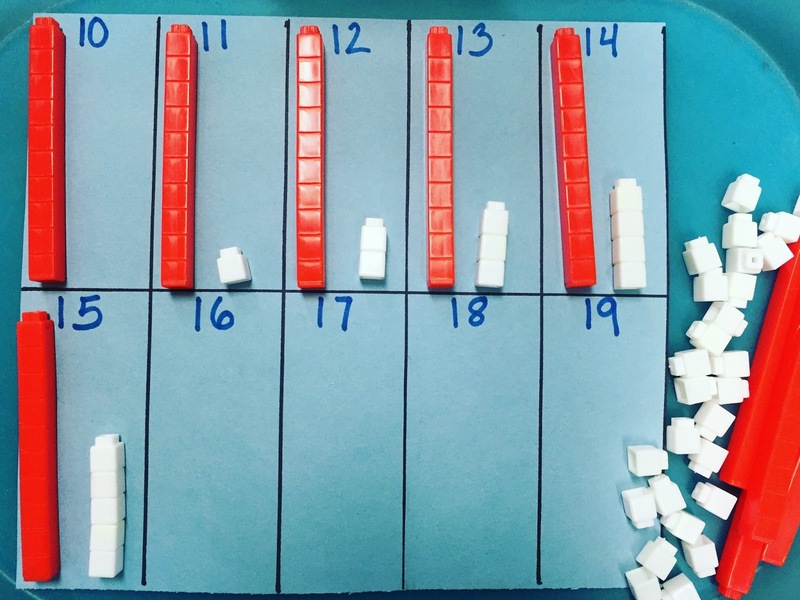 I love how you engage your students. My son will be going to Kindergarten next year. My son is starting to try and sound out words. I have focused on brain development and not reading, writing, math, etc... It appears that your students know how to read and write. Is that something that I should be working on with him now? 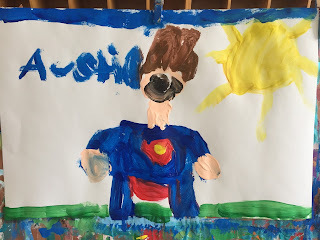 I always thought that my son would learn to do it in Kindergarten and with my help. 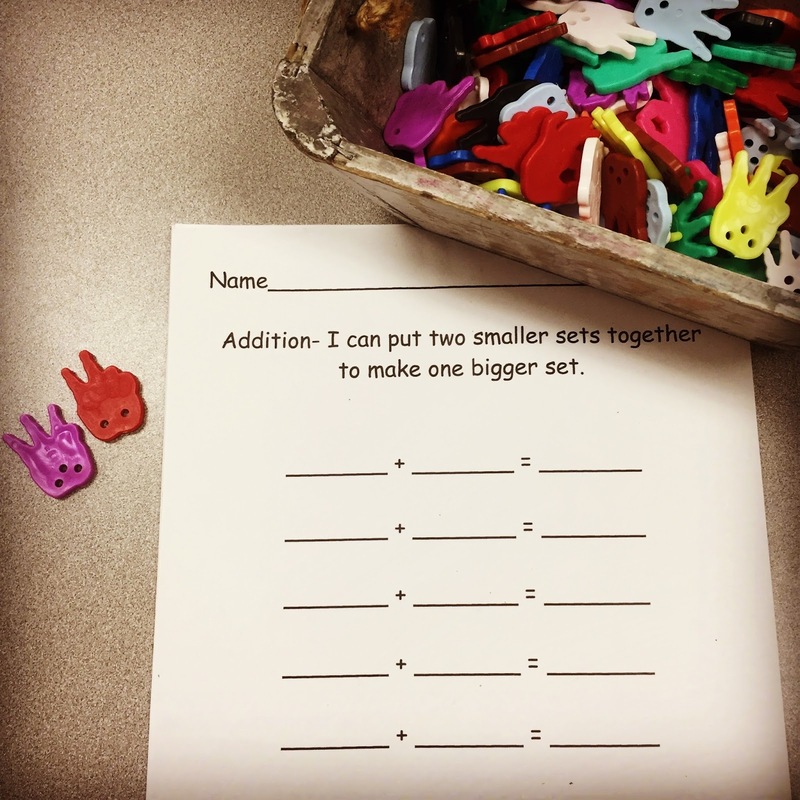 Did most of your students already have these skills prior to Kindergarten? Thank you for your help and all that you do for children. Thank you for your kind words! You are doing the right thing with your son! These kids had a basic understanding of the alphabet when they came to me, but they did not know how to read and write! They have learned that through their experiences here and support from their parents at home. Your son will learn that in kindergarten with your help just as you thought. This is awesome! How long do you spend on a project unit? For example, Superhero 1 and Superhero 2. How long did you do each for? We're trying to determine time and this will be our first kinder project based learning! Thank you for the AWESOME ideas and pictures! An inquiry can take anywhere from 2-4 weeks depending on student interest and how deep we go. A project can add another week or more so I only do more time consuming projects with the inquiries that the kids are the most passionate about. Good luck with your first one! It is a constant learning journey! Well, this is something very interesting and entertaining. I like the way you are dealing with these kids. yeah, children learn while expressing their hidden abilities by playing little games like this. Look at their creative art work. amazing...isn't? The First Weeks of Kindergarten: How Do We Start? Lines, Dots and So Much More! 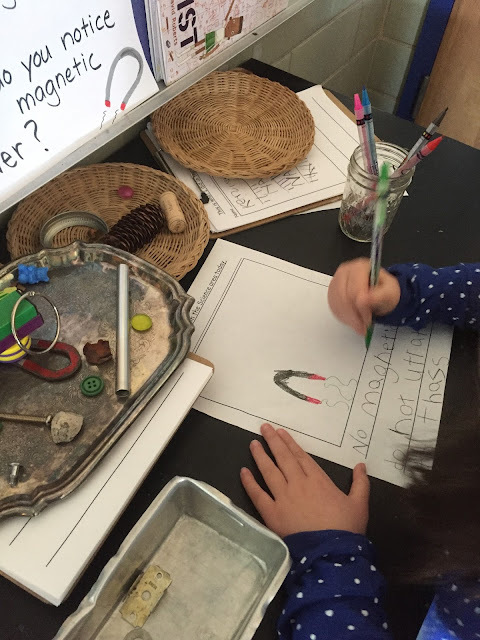 How Did We Explore the Concepts of Physics in Kindergarten? 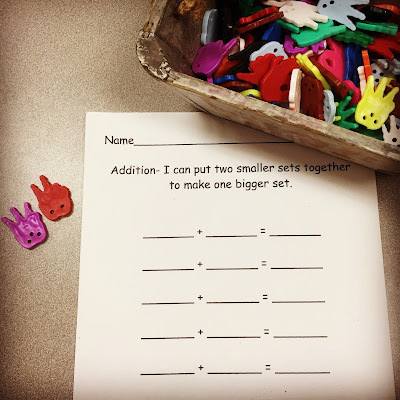 I am a Kindergarten Teacher for West Carrollton City Schools (West Carrollton, Ohio, U.S.). 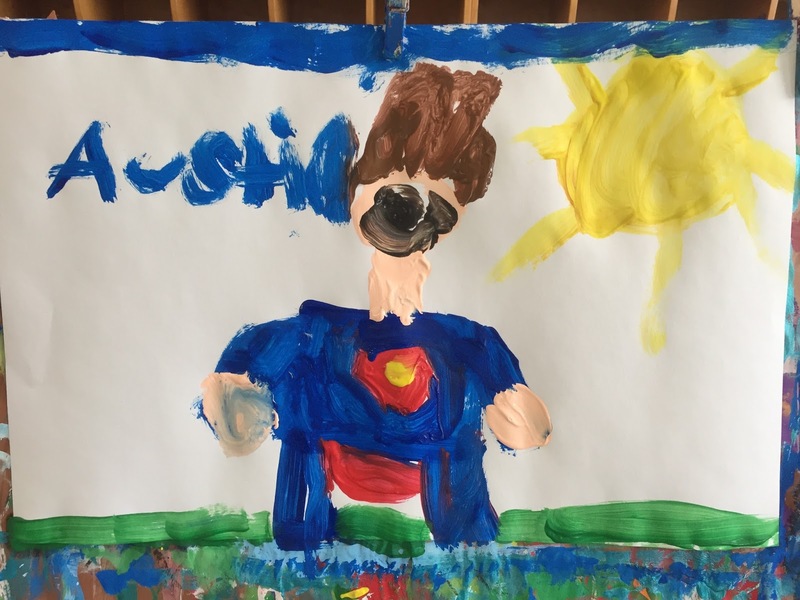 I have taught kindergarten for 24 years. 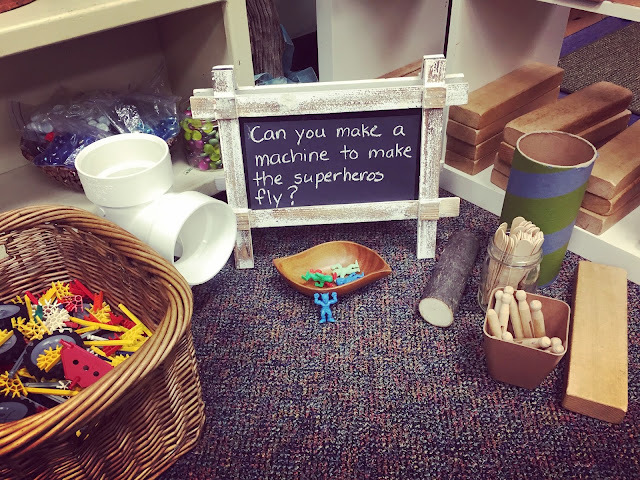 In this blog, you will see both teacher and students on a journey to build up our minds, muscles, and imaginations through inquiry, investigation, exploration, problem solving and teamwork. 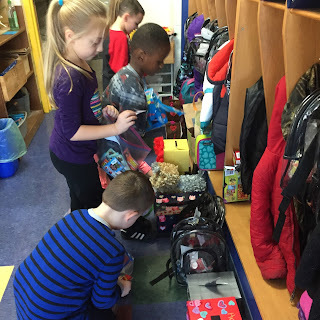 We learn together through a project/inquiry and play based learning environment. 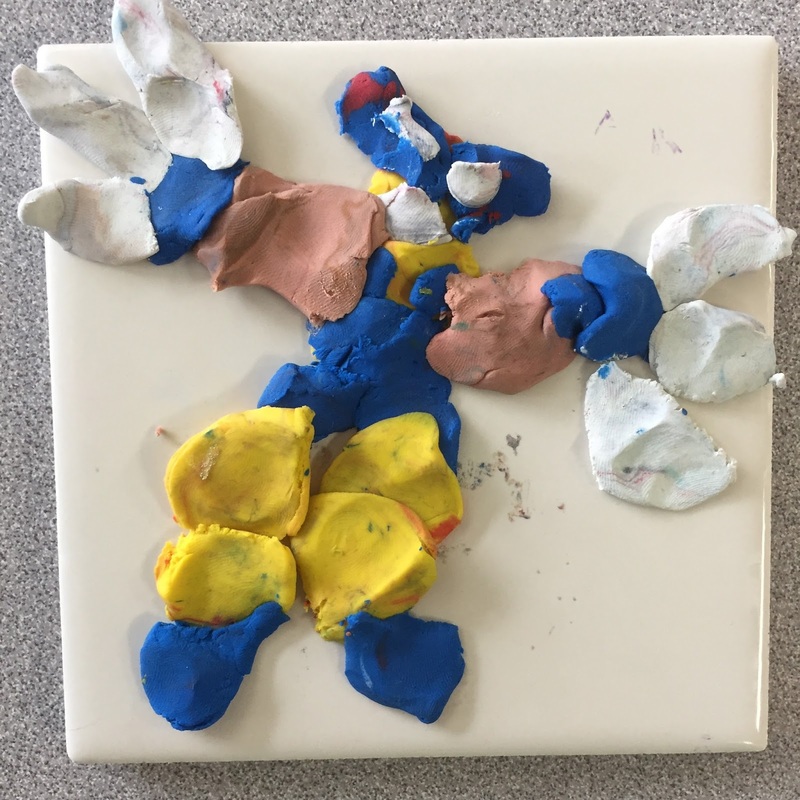 I have been on a journey from a traditional, thematic based teaching style to a more student-led, project/inquiry and play based teaching style. The more I learn from all of you wonderful teachers around the world, the more fun I am having inquiring, exploring and learning along side my students. I hope that this blog will be an inspiration for those of you thinking about doing the same.